In a previous blog we described how API behavior changes advance the security and privacy protections of Android, and include user experience improvements that prevent apps from accidentally overusing resources like battery and memory. Since November 2018, all app updates on Google Play have been required to target API level 26 (Android 8.0) or higher. Thanks to the efforts of thousands of app developers, Android users now enjoy more apps using modern APIs than ever before, bringing significant security and privacy benefits. For example, during 2018 over 150,000 apps added support for runtime permissions, giving users granular control over the data they share. Today we're providing more information about the Google Play requirements for 2019, and announcing some changes that affect apps distributed via other stores. 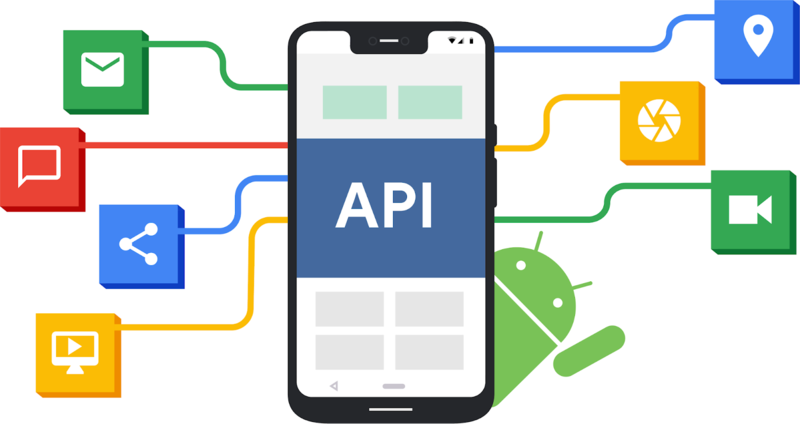 August 2019: New apps are required to target API level 28 (Android 9) or higher. November 2019: Updates to existing apps are required to target API level 28 or higher. Existing apps that are not receiving updates are unaffected and can continue to be downloaded from the Play Store. Apps can still use any minSdkVersion, so there is no change to your ability to build apps for older Android versions. For a list of changes introduced in Android 9 Pie, check out our page on behavior changes for apps targeting API level 28+. Targeting a recent API level is valuable regardless of how an app is distributed. In China, major app stores from Huawei, OPPO, Vivo, Xiaomi, Baidu, Alibaba, and Tencent will be requiring that apps target API level 26 (Android 8.0) or higher in 2019. We expect many others to introduce similar requirements – an important step to improve the security of the app ecosystem. August 2019: New apps will receive warnings during installation if they do not target API level 26 or higher. November 2019: New versions of existing apps will receive warnings during installation if they do not target API level 26 or higher. 2020 onwards: The target API level requirement will advance annually. These Play Protect warnings will show only if the app's targetSdkVersion is lower than the device API level. For example, a user with a device running Android 6.0 (Marshmallow) will be warned when installing any new APK that targets API level 22 or lower. Users with devices running Android 8.0 (Oreo) or higher will be warned when installing any new APK that targets API level 25 or lower. Prior to August, Play Protect will start showing these warnings on devices with Developer options enabled to give advance notice to developers of apps outside of the Play Store. To ensure compatibility across all Android versions, developers should make sure that new versions of any apps target API level 26+. Existing apps that have been released (via any distribution channel) and are not receiving updates will be unaffected – users will not be warned when installing them. For advice on how to change your app’s target API level, take a look at the migration guide and this talk from I/O 2018: Migrate your existing app to target Android Oreo and above. We're extremely grateful to the Android developers worldwide who have already updated their apps to deliver security improvements for their users. We look forward to making great progress together in 2019. Last year we announced that starting from August 2018 Google Play will require all new apps and games to target a recent Android API level – set to API level 26 (Android 8.0 Oreo), or higher. Additionally, this requirement will extend to updates for existing apps and games starting from November 2018. Every new Android version introduces changes that bring significant security and performance improvements – and enhance the user experience of Android overall. Updating your games to target the latest API level ensures that your users can benefit from these improvements, while still allowing your games to run on older Android versions. Install the Android 8.0 Oreo SDK (API level 26) via Android Studio by navigating to (Tools > Android > SDK Manager > Android SDK > SDK Platforms). Update your game to target API level 26 and see whether your game has any incompatibilities or issues as soon as possible. Update any external dependencies as necessary. Learn more about the incremental changes between versions of Android here. If you are using an advertising network, SDK or plugin which is incompatible with API level 26, reach out to your contacts and find out their timeline for supporting target API level 26. The sooner they're aware of these changes the better. If you build your game with Unity, support for target API 26 is built into Unity 5.6.6 and beyond. Simply ensure the latest target API level is selected in your Android build settings for Unity (Build Settings > Android > Player Settings). For versions of Unity 5.6.5 and prior, consult this documentation which includes a workaround for versions dating back to 4.3. For games built with Unreal, check your Android platform settings has the "Target SDK Version" set to 26. If you use Cocos2D-X, check the target API level in the gradle.properties file that is generated. Since API 23, we have required permissions be requested at runtime which helps streamline the app install process. Since API 24, apps can no longer dynamically link against non-NDK libraries. If your app (including third-party static libraries) contains native code, you should only be using public NDK APIs. If your game uses Android push notifications, the Google Play Services SDK in your game will need to be updated to version 10.2.1 or above for your game to support API level 26. Remember, updating the target API level is just the first step – make sure your game is compatible with the behavior changes between your current target API level and API level 26. Check out further guidance on the changes in past versions of Android to help in your migration process. These policy changes are important for moving the Android ecosystem forward and keeping it healthy for our users – and yours.